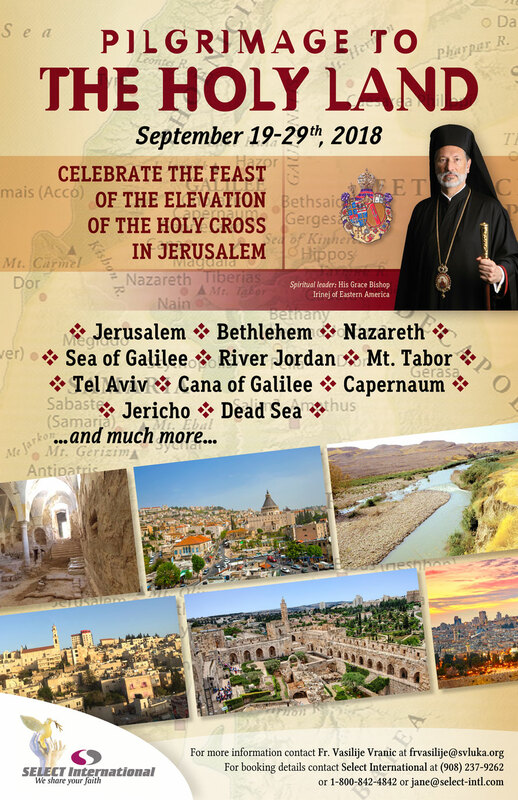 We are pleased to announce a pilgrimage to the Holy Land from September 19-29th, 2018. The spiritual leader of the pilgrimage is His Grace Bishop Irinej of Eastern America. We invite all interested to make reservations sooner rather than later. The reservations will be filled out on the first-come-first-served basis. Please, find more information on the Pilgrimage and the registration form at www.serbianchurch.org/pilgrimage or download the pilgrimage brochure HERE.